One of Publishers Weekly's Hot Fall Books of 2013! Tom Taylor has lived his life being mistaken for Tommy Taylor, the boy wizard from the world-famous series of novels penned by Tom's long-lost father Wilson. However, after a series of strange events start to parallel the lives of both Taylors--fictional and real--Tom realizes that he might be the character on page made flesh. In this first-ever original graphic novel spinning off from the pages of the critically acclaimed THE UNWRITTEN series, writer Mike Carey explores the origins behind Tom's mysterious powers and the odyssey his father has sent him on. The wise-cracking Wall-Crawler collides with the She-Devil with a Sword! They may be from two different eras, but Spider-Man and Red Sonja have both faced the maniacal mage known as Kulan Gath. Now the sadistic sorcerer makes a play for power that will once again bring these two famous heroes together - but will it be as friends or foes? Writer Michael Avon Oeming (Omega Flight, Red Sonja) and Mel Rubi (Red Sonja) - plus series cover artist Michael Turner (Civil War) - answer the eternal question: What's better in a fight, the proportional strength and speed of a spider, or cold, hard steel and a chain-mail bikini? Collects Red Sonja/Spider-Man #1-5. 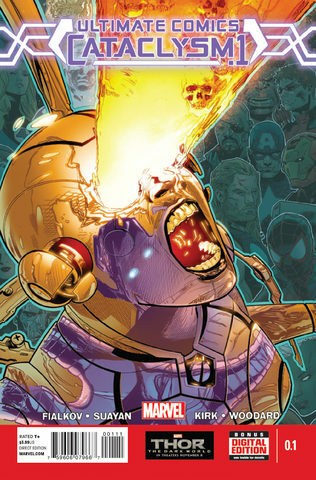 The largest event in Marvel's Ultimate Universe! Heroes will rise together against an imminent galactic threat, but not all will be left standing by the end of Cataclysm! realm of dreams but has since turned into a place of madness and terror that threatens to engulf an unsuspecting world... That world is ours. suspects, Salome Grey and Julie Sands, both of whom disappeared seemingly into thin air. What Legrasse didn't realize is that the two suspects were pulled into Wonderland and would merge to become the new "Queen of Hearts." Legrasse is about to uncover a madness that she could never have seen coming as her investigation takes her further and further down the rabbit hole. Trolls and dragons and wood-nymphs, oh my! 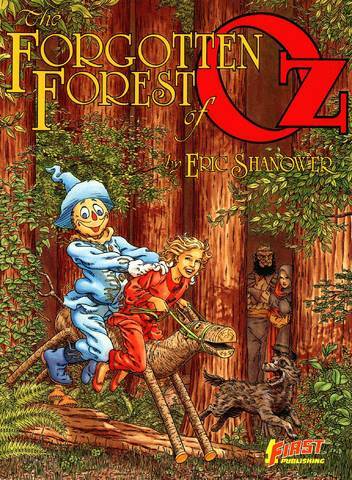 Dorothy, Toto, and the Scarecrow battle to save the magical Forgotten Forest in the fourth volume of Eric Shanower's series of Oz graphic novels. Action Force! The elite international counter-terrorist unit dedicated to ridding the world of tyranny! Battling on land, sea, air and outer space! No mission is too tough for Action Force! Thrill to their explosive adventures! Gasp to their heroic exploits and mourn their noble sacrifices! Fear their evil enemies, bent on work conquest! No matter the odds, no matter the risk, Action Force fights to defend democracy! Will they prevail against their diabolical foes? Something terrifying and strange has occurred - outstanding even among horrors faced every day by John Constantine. Intelligence specialists have discovered elements of the Iraqi insurgency may be demonically possessed. No one in the intelligence agencies is qualified to handle this problem, and that means a private contractor must be employed. 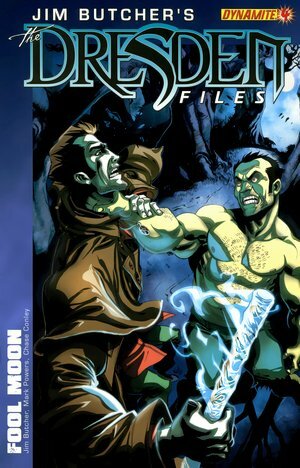 Databases identify only one potential candidate: John Constantine. Constantine is taken from the comfort of his London home to the brutal climates of Iraq due to military coercion, but also because of his interest in a mysterious, beautiful Iraqi agent whose true allegiances are kept in shadow. In the jungles of South America Sheena, Laney and her team operate a base. Sheena reminisces on how she came to be in the jungle when her families plane crashed in the jungle and she was taken in by the natives and taught how to hunt and fight. Now a danger is about to strike the area and theres little time to warn the villagers.. but Sheena is going to warn them all the same. The creative team behind INVINCIBLE PRESENTS: ATOM EVE return to their original creation, a modern-day member of an ancient cult whose duties dictate that he roam the earth to protect the living from the dead...and occasionally to protect the dead from the living. 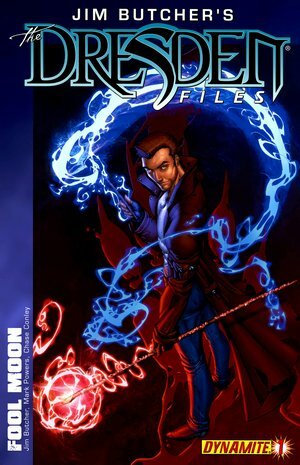 It's the follow-up to the book WIZARD MAGAZINE called one of the top 200 comics released during its publication history. HIPPOLYTE FYNN, a private detective living in Hollywood, saves the life of a writer, and is soon embroiled in the most exciting case of his career, for a killer is on the loose in Universal Studios. On a Claire Day is an internationally syndicated comic strip created by Henry Beckett and Carla Ventresca and launched in 2006. It is based around the life of fictional character Claire Bennett, an insecure and naive young woman, who has left her parents' home to live on her own. She is accompanied by her dog Bradley and visits frequently with Sammi, her elegant, financially savvy, and impatient best friend; Jeff, her guy's guy neighbor, who's happy working construction and doesn't understand Claire's ambition or life issues; her "out there" Oprah-fanatic mom and her "work hard or you're worth nothing" dad; and the perfect neighbors, Pasha and James, who seem to do everything with an ease and flair Claire can't achieve or imagine possessing herself. On a Claire Day is distributed by Creators Syndicate in Los Angeles. It runs in many newspapers around the country and is being developed into a television show. Baldo is an American comic strip written by Hector Cantú and illustrated by Carlos Castellanos. It was launched in April 2000. The McConnells are a down-on-their-luck family desperately in need of a fresh start and a lucky break. When Becky is sucked into a cycle of recurring dreams filled with monstrously burned and disfigured people, her world unravels and her dreams start to become a nightmarish reality. Harlan Ellison, science fiction's brightest luminary, has joined forces with multi-award winning artist Paul Chadwick, creator of the incomparable Concrete, to bring you SEVEN AGAINST CHAOS, a graphic novel that is singular, powerful and unpredictable. This extraordinary odyssey of mystery and adventure will take you to the rim of reality and beyond.